POCKWOOD POND, Tortola, VI - Residents and businesses in Long Bush and surrounding areas can look forward to a more quiet environment come 2017 as the British Virgins Islands Electricity Cooperation (BVIEC) is expected to transfer the engines that are in that location to Pockwood Pond. This was announced today, September 15, 2016 by Minister for Communications and Works Honourable Mark H. Vanterpool (R4) at a press briefing held at the Pockwood Pond Power Plant. 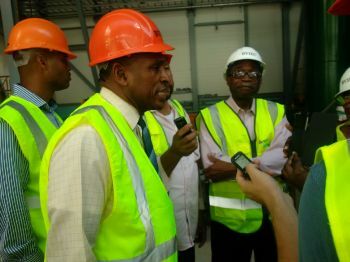 The Minister was at the time expressing his satisfaction with the work done so far at the power generating facility at Pockwood Pond when he visited there today, along with several persons from his ministry and officials of BVIEC including Deputy General Manager Mr Henry O. Creque and Chairman of the Board of directors Mr Ron Potter. According to Honourable Vanterpool, the older engines that exist and are becoming more problematic to maintain will soon go into retirement. "In the meantime what we must bear in mind is that the older engines which are here are getting older and are more problematic to maintain so we are gradually going to retire those. And hopefully these three engines and the more recent, not so old engines, would be able to provide the power we need in the future." “I am very satisfied the corporation is a very professional group, along with those who they have hired to operate it. We have very good workers in the corporation who have been doing a very good job. We want to commend then. 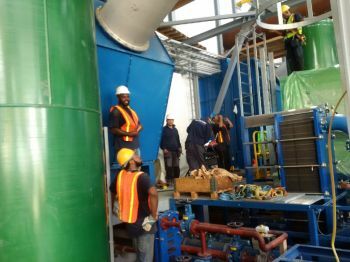 With the addition of the new generating sets, the minister said his BVIEC team has promised to be producing additional power by the end of this year. "In addition to that, we hope that we wouldn't have the need to make noise in my district in Long Bush with the engines that are there temporarily. So we'll be able to move those out early next year," announced Hon Vanterpool. 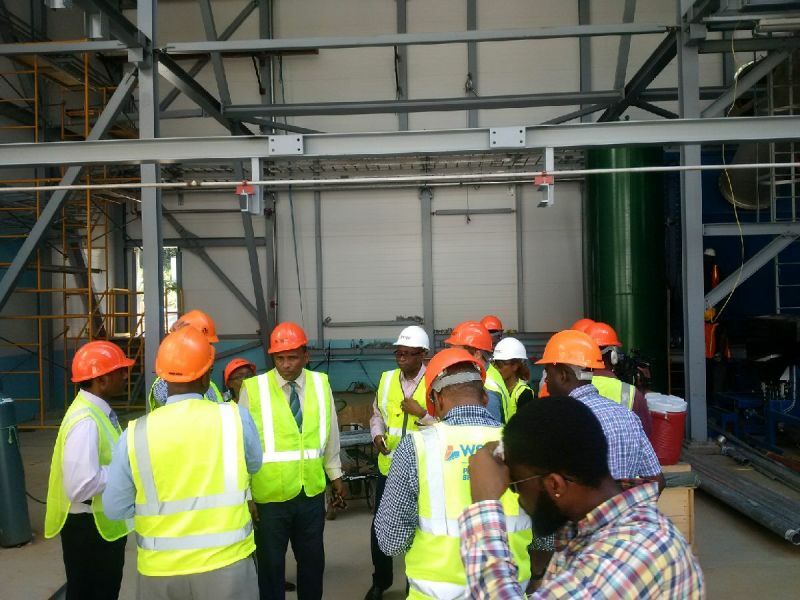 Among the visiting team was Leader of the Opposition Honourable Julian Fraser, RA (R3) who noted his satisfaction at what's progressing at the territory's power generating facility. Hon Fraser said the work he has seen executed so far by the BVIEC is impressive and they are working towards the plan they have presented. "And I am looking forward for the relief it's going to bring. I have heard that by the end of this year noticeable relief is going to be in place and I am expecting that." He commended Hon Vanterpool for being able to realise the Phase Five Power Development Project. 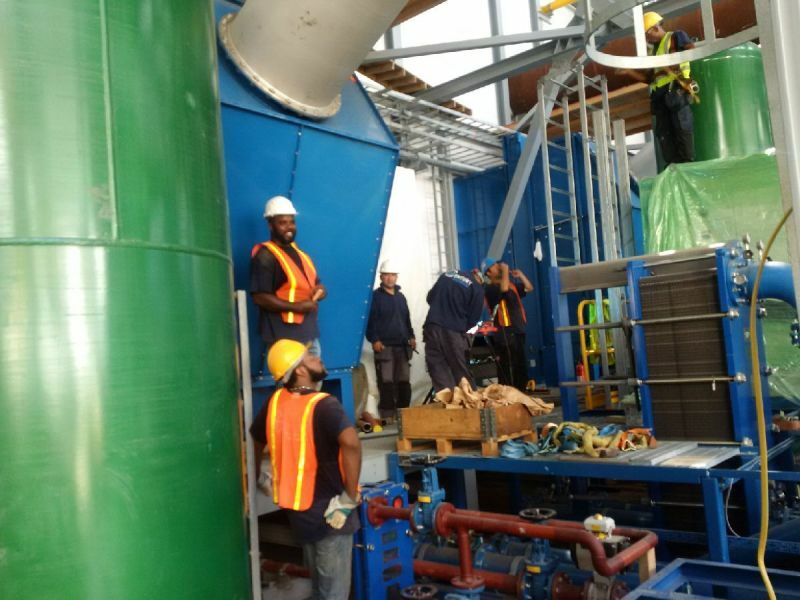 The BVIEC recently brought in three new Wartsila generators for the project expected to significantly improve the power generating capacity of the Pockwood Pond Power Plant. "Make no mistake about it, it's a major undertaking and the predictions for the future outcome are basically certain because Wartsila is a proven and tested company…I am holding them to their word. I believe they are going to deliver according to what they said," Hon Fraser said. That's a Good Move! Thanks in advance. So the people of pockwood pond will endure all the noise now? What ''People of pockwood pond''? Its an industrialized area. Always have been long before anyone erected a house there. No call building in industrialized zones. This is a very strange comment to make, as the PP power station has been there since 1991, 25 years. Ever since, it was known that all power generation would move from LB to PP, now it is finally coming to reality. Why they wait until the GM off island to have that visit. Mr Abraham keep your head up we know that you are the visioerr for that utility company. You sow and others just want to reap. Keep up the good work and not being selfish. #OneTeam #OneBVI. Stop trying to cause trouble.